My first glacial close encounter came on a Girl Scout trip to the Alaskan Inside Passage in 1996. It was in middle school, so I didn’t appreciate the fact that we were traveling the Alaskan Inside Passage by bicycle and ferry. We stopped at the Mendenhall Glacier just outside of Juneau and at the time, we were able to scramble our way right up to the face. Touching a glacier and walking through a few ice caves just ignited my imagination and began my fascination with these giant moving mountains of ice. The colors were a variety of brilliant blue hues and looking into the dark below the glacier just left my mind spinning. For years after, I wrote short stories inspired by the photos I had taken that day and when I got older I began to seek out travel to destinations to again have a glacial close encounter. A beautiful two-hour drive from Anchorage, the Matanuska Glacier has been one of the most amazing glacial close encounters I’ve had yet. 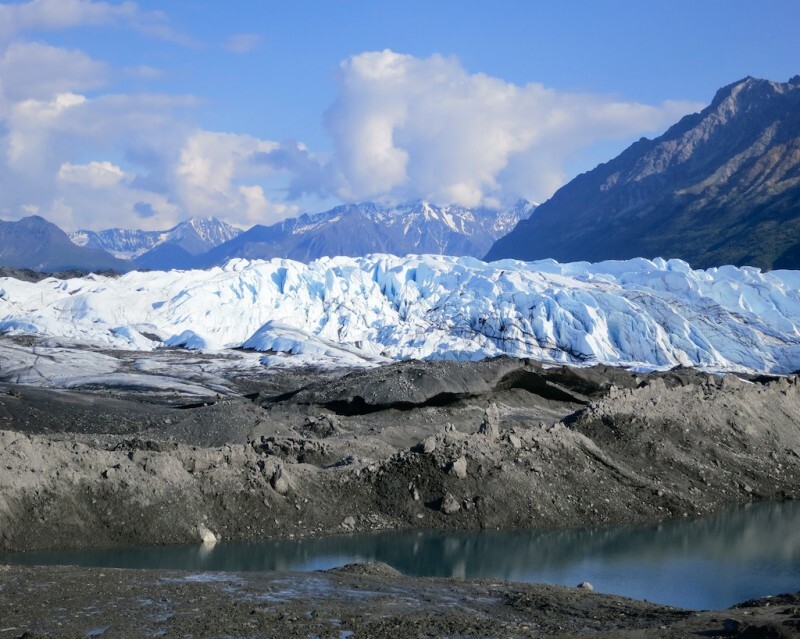 If you don’t mind paying $20 and signing a waiver taking all liability for what happens to you out there, you can actually walk on and explore the largest glacier accessible by car in the United States. 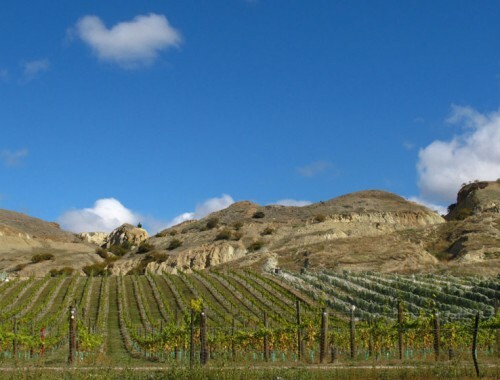 There are also official tours with trained guides, so you can visit safely and explore with a professional. Walking on the Matanuska Glacier seems almost otherworldly. If you walk directly towards the face you’ll find yourself surrounded by small hills of ice, no longer able to see where you parked your car. You could easily spend a few hours (carefully) exploring the ice and just imagining. The spur trail to the Grinell Glacier overlook is demanding, especially after you’ve already walked several miles along the Highline Trail. 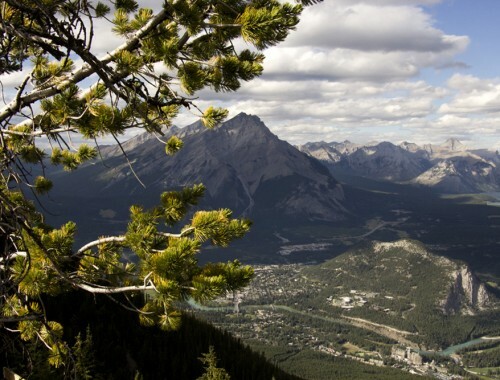 Moving your tired legs up a rocky, steep, and unprotected trail may seem like a questionable decision at the time – but trust me, it’s worth it for one of the best glacial views you’ll ever get. High atop a ridgeline in Glacier National Park you’ll get a birds eye view of the Grinell Glacier and Continental Divide below. For a different view, hike up Many Glacier valley on the eastern side of the park to the base of the glacier. 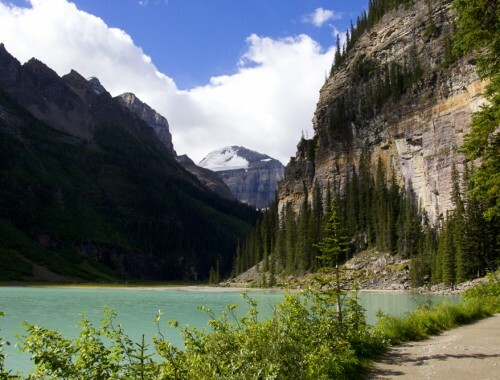 For glacier lovers, the Icefields Parkway between Jasper and Banff National Parks in Alberta is a must drive route. You’ll pass a number of beautiful glacial viewpoints and then you’ll arrive at Athabasca – which leaves the others left wanting. Just a short distance from the parking area, the face of the glacier reminds me of that scene in the X-Files where a saucer shaped spacecraft emerges from underneath the Antarctic ice (Sci-Fi nerd alert!). 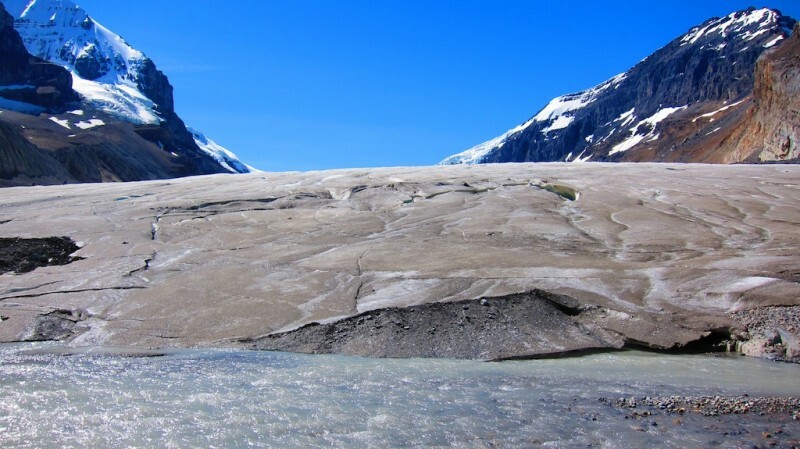 The Athabasca Glacier looks massive but at the same time, smooth, and approachable. 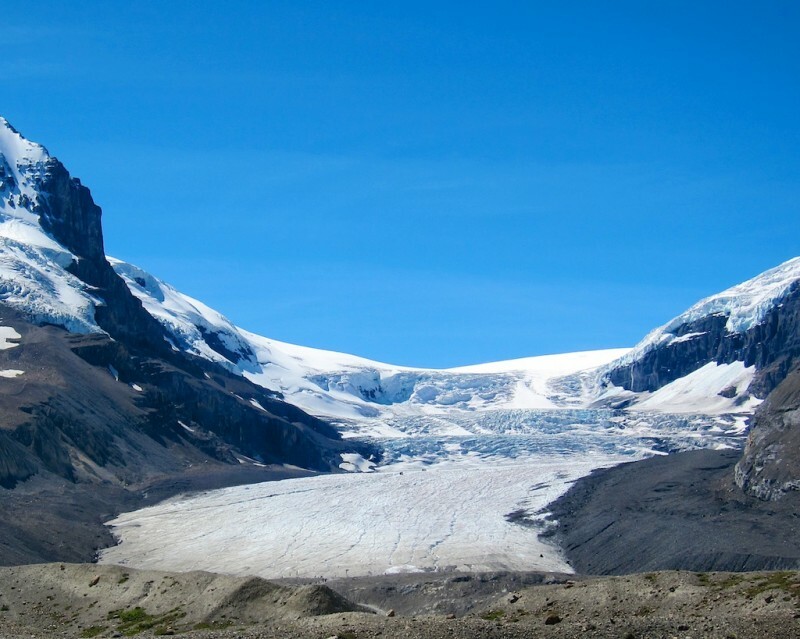 The largest and most accessible toe of the Columbia Icefield, you can get up close and personal with the Athabasca Glacier if you wish. Clever and gutsy visitors have rigged up a few ways to make your way onto the glacier via wood planks, but the signage advises you only to proceed at your own risk. For those seeking a close encounter with less risk, during the summer you can ride a snow coach or schedule an ice walk with a guide. Fed by four alpine glaciers, the Fox Glacier drops straight out of the mountains and into a lush rainforest on the South Island’s west coast. Access here is more restricted than the other glaciers I’ve covered in this post because the Fox Glacier is actively advancing. That means that surge waves from falling ice, rock falls, and crevasses are more common. From the parking area, you can walk out along a roped path along the riverbed to get a closer view of the face. What I love about the Fox Glacier is how you can also see these beautiful greenery covered mountains and valleys sitting above it. 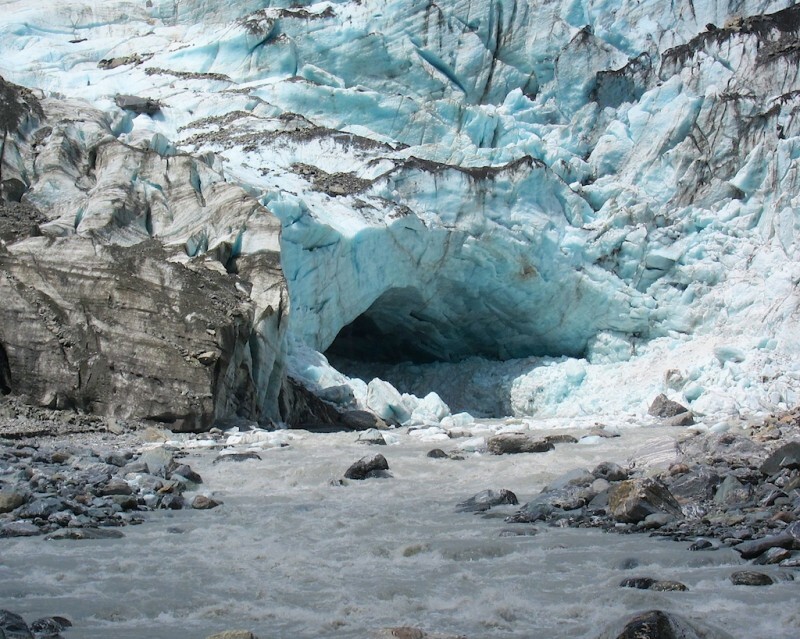 For an up close and personal encounter with the Fox Glacier – connect with one of the many companies that offer guided walks, heli-treks, and ice climbing adventures. 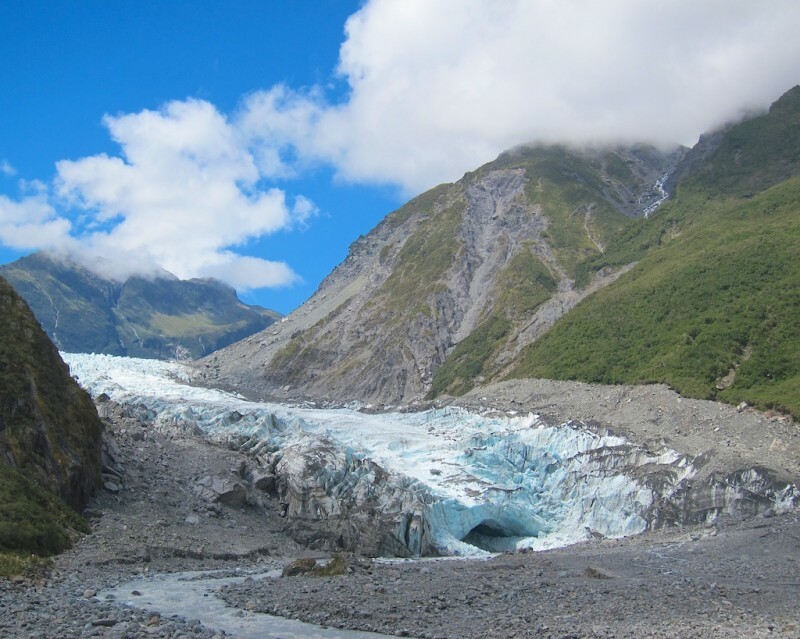 Next time I’m in New Zealand, and have the funds – I’m totally getting up close and personal with Fox Glacier. Adina is a gluten free travel and food writer, photographer, and explorer based out of Seattle, Washington. Having traveled through 6 countries, 18 states, and over 70 cities since going gluten free in late 2009 – it’s become her passion to share her adventures with others. Her blog, Gluten Free Travelette is a website dedicated to sharing her personal experiences about gluten free travel and food. We spent more time at the Franz Josef glacier in NZ. But purely from a distance view, I thought the Fox looked more impressive. 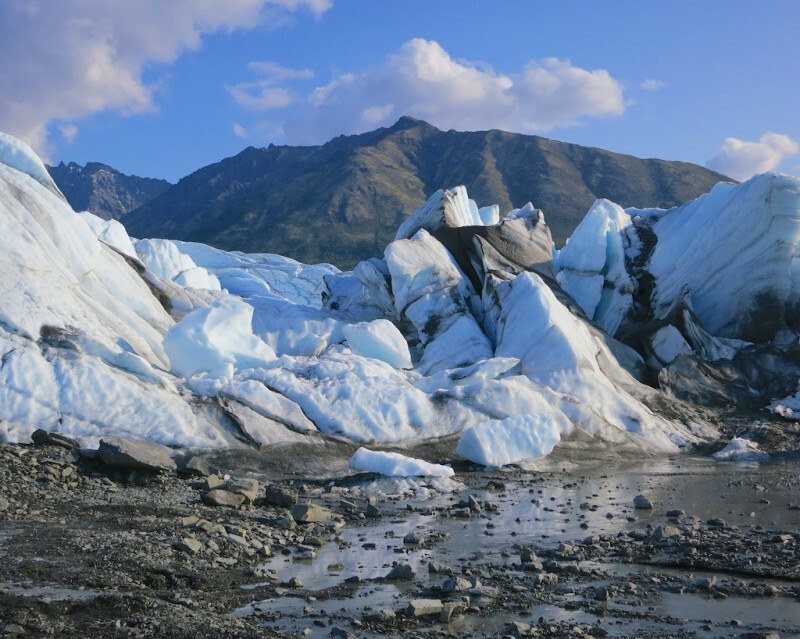 Your photos of the Grinell glacier are stunning. I’m intrigued now and would love to go see it! 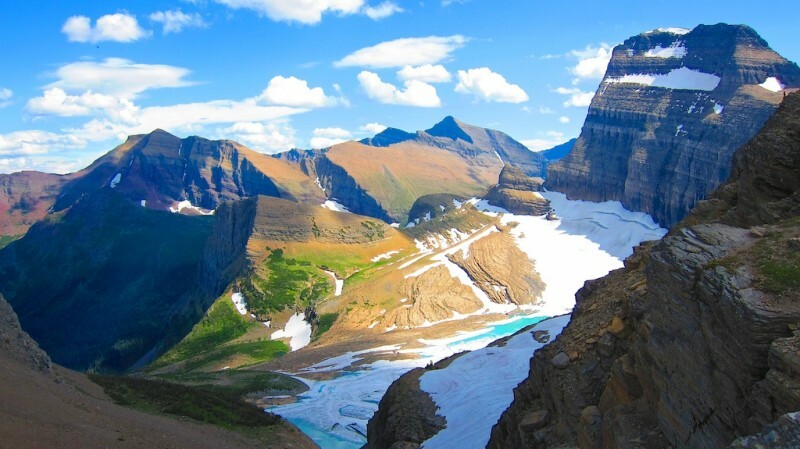 You should definitely get out to Glacier National Park – it’s AMAZING! 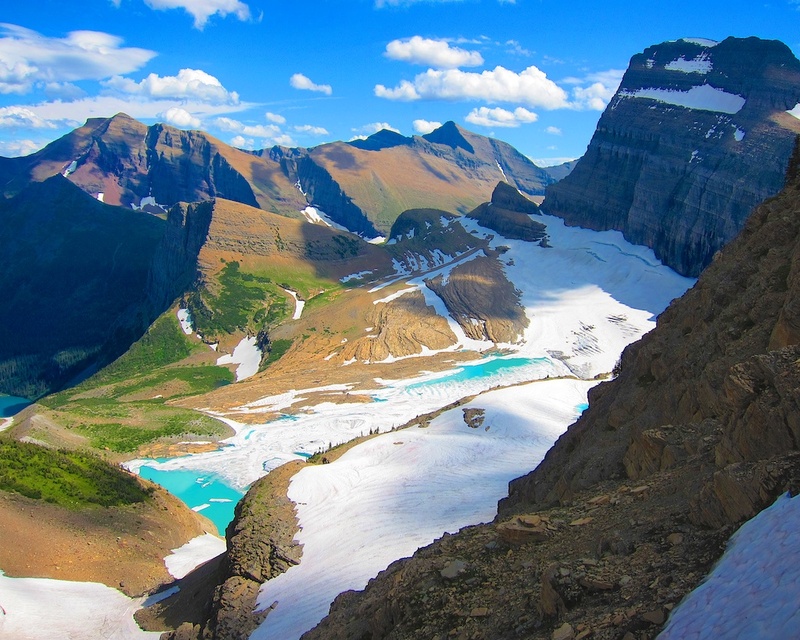 I really want to do that hike up Many Glacier valley to the foot of the Grinnell Glacier next time I’m there. Perhaps we should meet there someday and hike it! It would be somewhat halfway at least! Have you seen Vatnajökull Glacier in Iceland? It is breathtaking. I haven’t and am dying to. I know Adina has been to Iceland and loved it – its possible she went there too. No! Glacier are the one big thing I totally missed in Iceland! We were only there for 20 hours – so we had to plan our itinerary carefully and unfortunatly that meant leaving out glaciers. We did spot one of the ice sheets from a distance, but we’ll definitely be going back at some point and glaciers will have to be a highlight of our trip! thanks! Adina’s got a great eye! Loved having her post here!